Please click on the Search button below, then choose the class. Some classes require teacher approval before enrollment. I/We the undersigned parent(s) or legal custodian(s) of the student named on this registration/agreement form, understand that dance requires physical exertion. It is my/our responsibility to consult with a physician before his/her participation in dance classes, productions, programs or workshops. I/We agree to assume full responsibility for any risks, injuries or damages that might occur as a result of the student participating in activities sponsored by SWDC. I/We agree not to hold SWDC, it's Board of Directors, associations, any faculty, employee or volunteer liable for injuries sustained or illnesses contracted while a student of SWDC. I accept the tuition policy as presented on the school schedule. Quarterly Payment -- Due Sept. Jan & April. Pay in full -- Total tuition less discount. I understand that I must make payments on my account myself, either through the Jackrabbit online portal or through SWDC office. SWDC does NOT charge credit cards or bank accounts linked through the Jackrabbit Portal. Students must wear appropriate dance wear and shoes for each class. Failure to do so will: 1. First time, receive a warning 2. Second time, receive a warning and call parents. 3. Third time, will sit out class, observe and take notes. BALLET students must wear hair in a neat bun or have out of face for short hair. NO FOOD OR DRINK IS ALLOWED IN THE DRESSING ROOMS. After the 2nd warning the student will not be allowed to have food on the premises or may lose dressing room privileges. All food and non-water drinks are to be kept and consumed within The Hub. Cell phones are not allowed in class. Parents can call the office for emergencies. 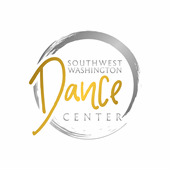 Parents must be aware that SWDC is not responsible for the whereabouts of dancers age 12 and up. However, dancers should ask their parents if they have permission to leave the building on their own. All dancers are required to sign out and in, if they leave between classes. All dancers under the age of 12, must be picked up, inside the SWDC building. Children will not be allowed to go outside to wait for a ride. I have read and understand the Studio Expectations re: class arrival, class observation, school closures, absences and make-up classes, dropping classes, school performances, dress code requirements and Dancer Personal Safety and Health as posted on the SWDC website. If I do not understand I will inquire with SWDC staff to answer any questions I may have. I agree that mine or my child's photo may be used for advertisement or educational purposes. IF I DO NOT AGREE: I will notify the studio office in writing immediately.